Hong Kong time has many advantages, according to many economists and investors in the world . One of them is that when the US markets are closed, it's almost time for the Hong Kong stock market to open. 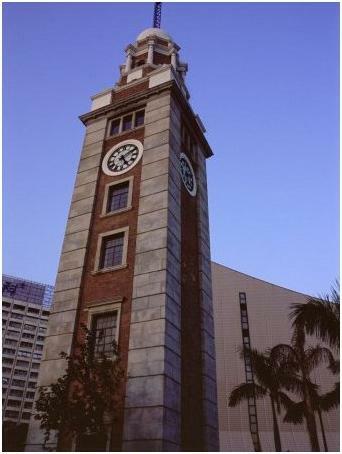 Hong Kong Clock Tower is located in Tsim Sha Tsui, Kowloon Peninsula Close to the Hong Kong Space Museum. It was moved from the Hung Hom Train Station. Look closer...there are numbers on the bricks. The construction workers wanted to make sure that the tower was built as the original one. Both Hong Kong and China are in the same time zone. Unlike the US, Hong Kong does not have Daylight Savings Time schedule. It used to in the past. I still remember it when I was in kindergarten. According to my mom, there were many people forgetting to change their clocks and it caused many problems. So, the government stopped doing it. Just a piece of advice after returning home from your travel and vacation, if time difference between your home country and Hong Kong is 8 hours or more, make sure you have at least 2 days of rest before resuming normal activities or working. We learned this lesson in a hard way. Your body needs time to adjust its clock. Believe me, no matter how much caffeine you are going to take, it will not work. Last thing you want to do is to get sick. For more tips of Hong Kong travel and vacation, click here.